What’s better than an ice-cold margarita?? 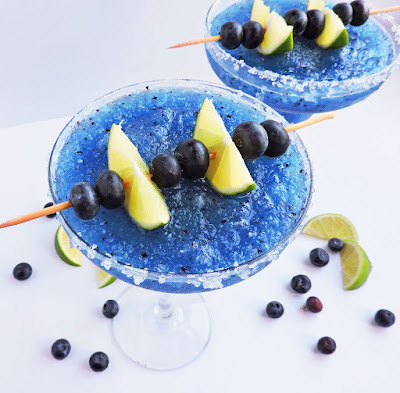 A cold, Fresh Frozen Blueberry Lime Margarita with FRESH blueberries and lime! Rub the rim of two margarita glasses with a lime wedge. Swirl the rims through a small pile of kosher or sea salt. Pour into glasses and garnish with blueberries and lime. 0 Response to "Fresh Frozen Blueberry Lime Margarita"